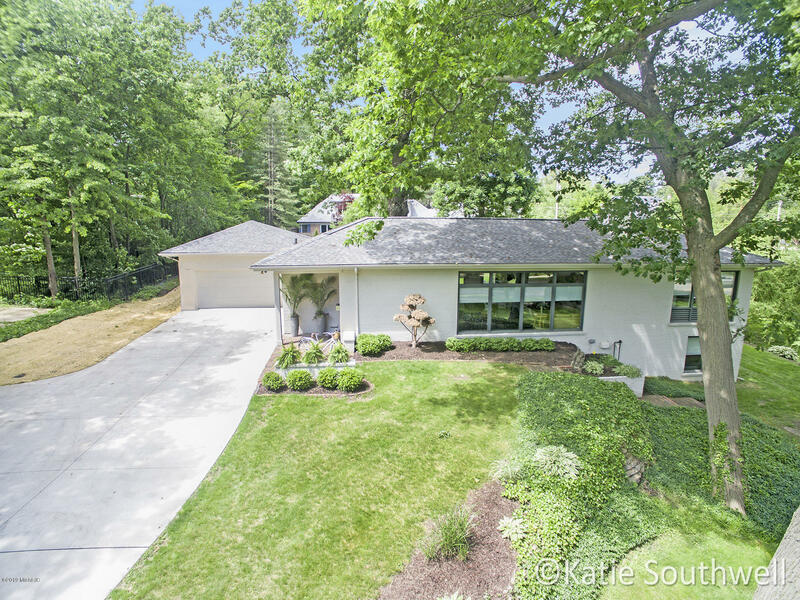 EGR newly renovated 5 bedroom, 3 full bath mid-century modern home respecting its origin. Fabulous kitchen designed by TruKitchens with custom walnut cabinetry, quartz countertops and walls, stainless appliances, exposed design wine storage wall, and Perlick beverage cooler. The light-filled great room features fireplace and a dark walnut wall to display your favorite art. Lower level walkout includes a family room with walnut wet bar and reclaimed wood accent wall. New roof, furnace, driveway, and so much more. Situated on a very large lot that offers privacy, beautiful views and within walking distance to schools and Gaslight Village.